Mat & Reformer Pilates Classes are a dynamic integrated whole body workout strengthening the core, lengthening and stretching muscles, building endurance and flexibility, creating fusion with our mind and body and increases overall energy and vitality. Pilates can also reduce / remove back pain and support rehabilitation from injury. The benefits of Pilates are enjoyed by everyone from beginners through to elite athletes. Personal training supports your body to achieve fat loss and weight management by creating long lean muscles , improving energy levels, reducing stress, building self – esteem and targeting sports performance. A 1 hour session includes a strong warm up, full body workout and a full body stretch with relaxing shoulder massage to finish. Sports Nutritional advice and support is offered at each session. Sculpt long, lean, strong muscles with this energizing, dynamic group class designed to challenge and change your body – no dance experience required. Total Barre blends pilates, dance, cardio and strength training specifically challenging arms, legs and core to strengthen and lengthen the body. This class will leave you feeling energized! 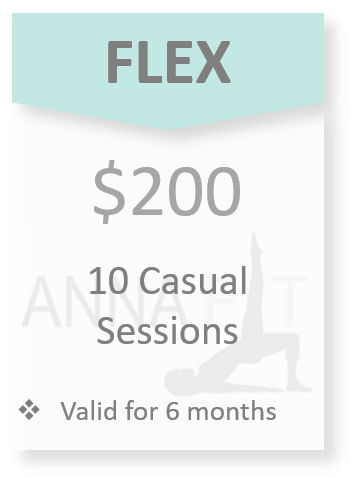 Annafit is Methven’s premier Pilates and Fitness Trainer, focused on small group classes and private sessions. 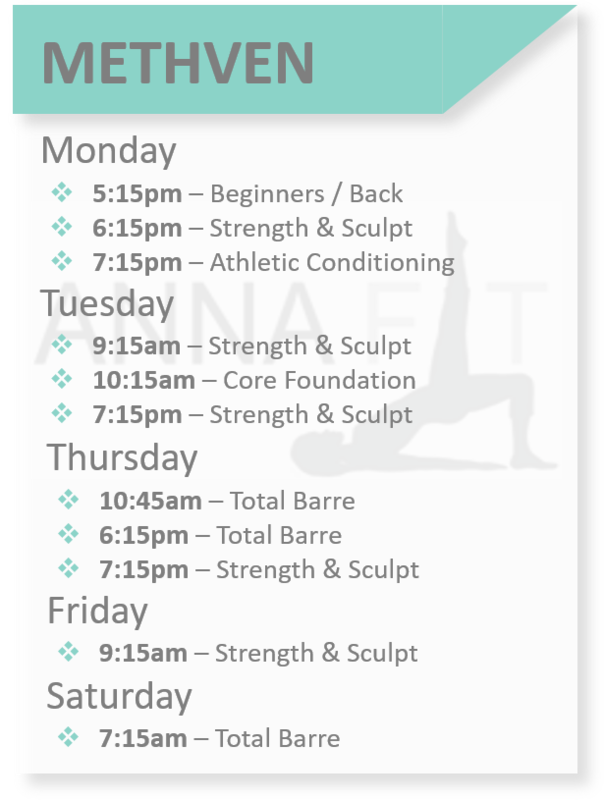 Annafit provides Mat, Reformer and Barre Pilates Classes for all levels. Personal Training sessions are tailored to the individual’s requirements. Sign up for a session of your choice to lengthen and strengthen your whole body. To create a positive Pilates environment for everyone, please ensure you have the necessary Pilate experience (i.e. Core Foundation) before enrolling for a Strength & Sculpt or Athletic Conditioning class. If you are unsure or if you have an injury please contact AnnaFit first. 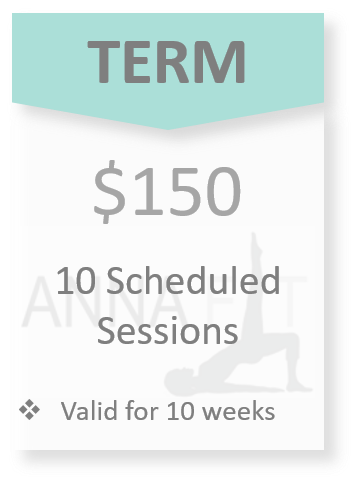 AnnaFit can also provide Body Assessments and 1:1 sessions to identify the ideal class for you to attend to ensure you benefit most from your Pilates journey.